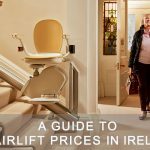 All you need to know about stair lift prices in Ireland. BM Stairlifts offer a FREE NO-OBLIGATION ON-SITE SURVEY AND QUOTE to all our customers. We are extremely competitive on price, without ever compromising on the quality of our stairlifts or aftercare service. Phone our office on 018020405. The biggest aspect that will define the price is if your staircase is straight, very narrow, or has any turns. 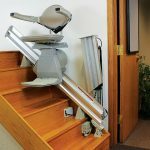 Stair Lift Installation – Whats Involved?